This is one of those wineries that is mispronounced often by newbies to the valley. Most folks want to add a French flair to the name, but go with a phonetic approach. The clue to its pronunciation lies in its sister winery Duckhorn, and the two ducks on the label. Think “pair of ducks” = Paraduxx. It’s that simple. 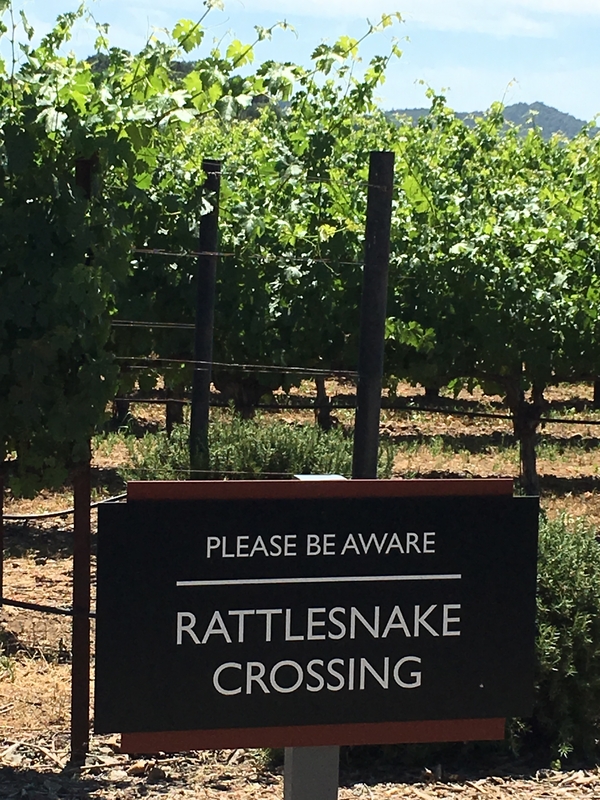 Paraduxx is located on Silverado Trail in the heart of the Napa Valley along Rector Creek, which influences the grapes harvested here for both Paraduxx and Duckhorn wines. The creek and reservoir behind the eastern mountains provide all the water the grapes need, so these blocks are dry farmed. No irrigation necessary. The modern touches at Paraduxx don’t just reside in the vineyard. 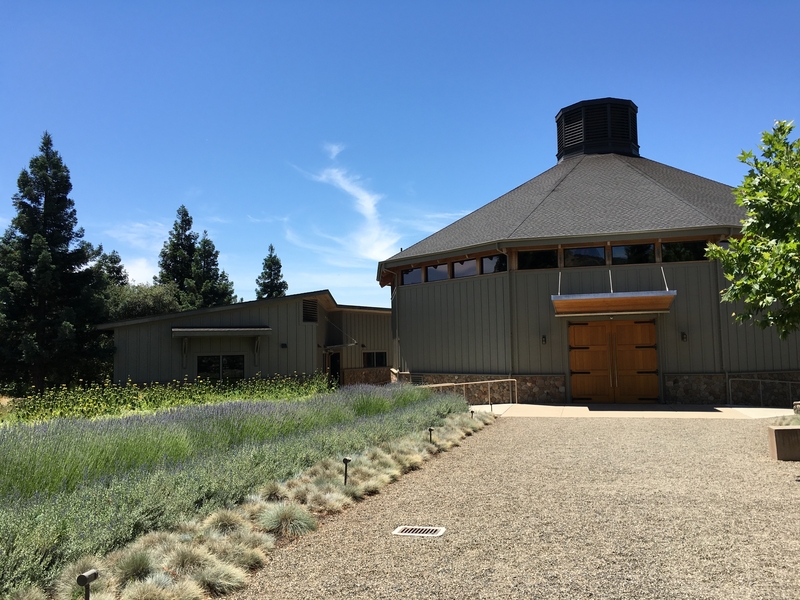 The decagon shaped winemaking facility is a unique sight and is flanked by contemporary native plantings that delight butterflies and honeybees. 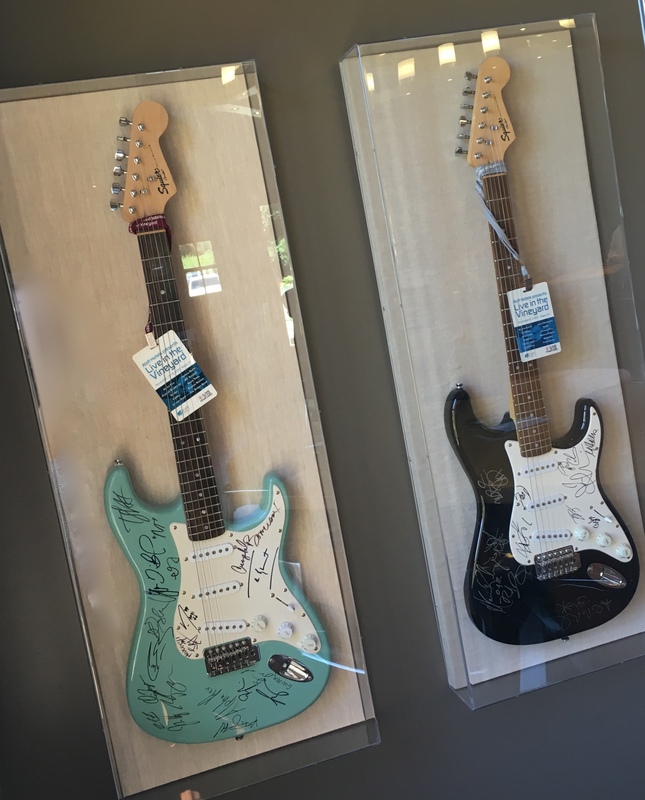 You can choose to taste in the contemporary farmhouse style tasting room (the electric guitar collection is worth a look-see), or ask to taste on the valley floor among the vines. A wine educator will serve you a flight of Napa blends, which is what makes Paraduxx a unique label. 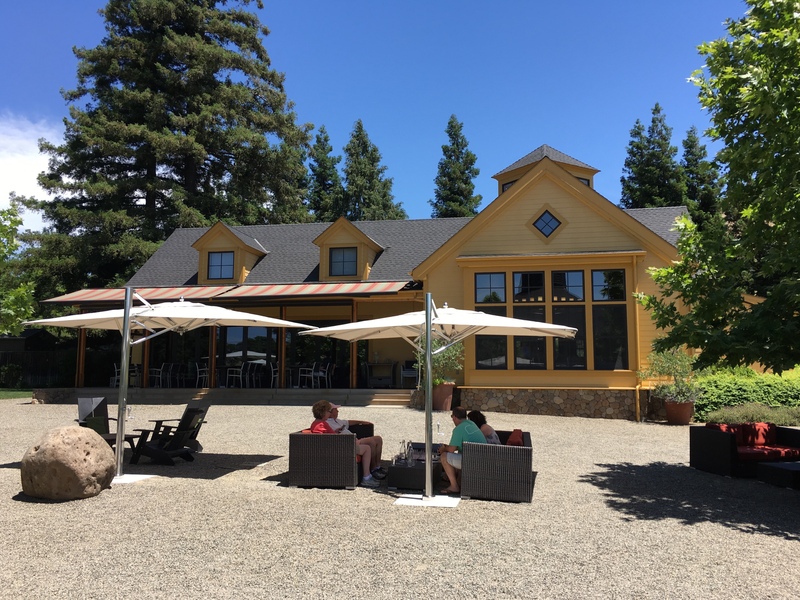 On our enjoyable excursion we were treated to a flight containing the 2015 Rosé, the 2013 Proprietary Red, the 2012 Rector Creek Red Wine, the 2012 Atlas Peak Red Wine, and the 2013 Rector Creek Vineyard Block 5 Red Wine. The color of the Rosé was breathtaking – a translucent burnt sienna with citrus tones and a crisp minerality. It was a wine we’ll surely enjoy again. The Proprietary Red held aromas of blackberry and blueberry, with clear influence by zinfandel grapes. Rector Creek is always a stunner, and the 2012 blend is no exception. Light caramel and stone fruit blend with California strawberry to make a delicious, drinkable red. Atlas Peak offers much cooler growing conditions than the valley floor, with a difference of about 10 degrees. So this wine offers a different taste and feel than its valley cousins. Prominent mid-palate tannins highlight the cherry and spice flavors, with subtle hints of prune and vanilla to round things out. The Rector Creek Vineyard Block 5 blend was another winner on this trip. Block 5 stands in the middle of the vineyard and yields flavors of cherry, raspberry, and old leather. It’s smooth and silky with a nod to concentrated red fruit found in jam and pie filling. You won’t be disappointed with a stop at Paraduxx. Wine blends might be new for you, but give them a try! They’re as upbeat as the indie pop music piped throughout the winery. Tip: Watch out for venomous critters! For reals, there’s a sign and everything!